Welcome to the Republic of Georgia! : April 9, Republic of Georgia.Tbilisi Massacre memorials. 25 years after..
April 9, Republic of Georgia.Tbilisi Massacre memorials. 25 years after.. 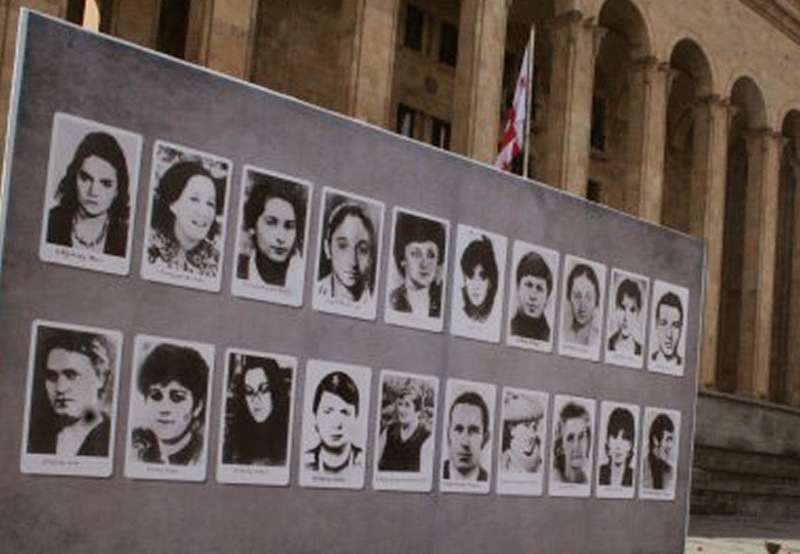 The year 2014 marks the 25th anniversary of the Tbilisi Massacre, when the Russian troops tried to break up the population assembled in front of the Parliament building, in protest of the regime, and for the independence of the country. in front of the Parliament. Tbilisi. Georgia is well used to protecting itself. I heard once that Georgia had been invaded 32 times! They came from the north, the south, east and not often west, since the Black Sea in directly on the western part of the actual land known as Sakartvelo, where the Kartvelis live. This celebration is of course, felt throughout the country, and not just in Tbilisi. Most of the population remembers that era, whether as a young person, or, as a militant. Many are the militants of yesterday that still live and remember the fight they led. What is worth it? Yes, of course, it is always worth it to fight for freedom, or tavisupleba in Georgian. 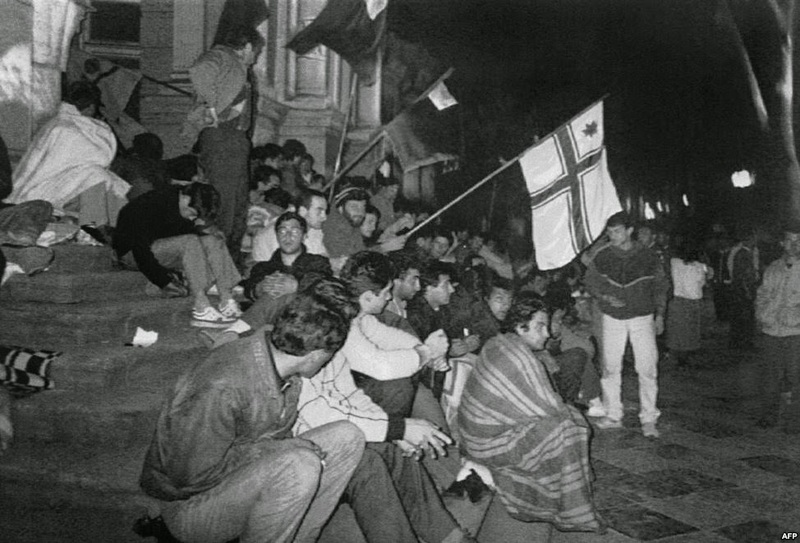 The results of the April 9,1989 massacre, the deaths on that day, led to increased fighting, and, in 1991, to the independence and the making of the Republic of Georgia. The people didn't die in vain, and will remain heroes. In its wake, however, thousands were displaced, others captured, tortured, or simply eliminated. In France, where I am from, people all remember the Second World War. We all have someone who died, we still see bullet holes on walls, chest-height, and we all have grandparents who fought, but they are now for the most part, gone, resting peacefully, we all hope. The remnants are fading.. In Georgia, the patriots, the nationalists, as well as the separatists in the case of South Ossetia or Abkhazia, are still there, and they are still vibrant in their opinions. In a country trying to rise from the ashes for so long, this part of recent history is bound to have repercussions in the daily lives of the Georgians. 25 years is a long time, but it is but a blink of the eye in time for most of them. Their memories are still fresh and if the country has managed to change and rise somewhat economically, the past haunts them just the same. As a foreigner coming to Georgia, it is, of course, moving to see the memorials, the flowers, and to hear the stories, but it is impossible to fathom the feeling that this population felt on those days and the months and years of uncertainty that followed. You can see the films taken then, see the hunger strikers, see the violence captured on video, in pictures, but the reality of those days is not easy to understand for us. I remember watching that on television, as a news story. I live in the USA then. It seemed so far away, and so impossible. Did people really assemble and fight for freedom? I wasn't sure. I couldn't really understand the power of their struggle. In Bordjomi, the new memorial to the fallen heroes is simple, beautiful, and elegant. It is also based on faith. The faith that spurs the Georgian people is absolutely tied to their freedom. In this YouTube video, you will see how faith played and was an integrant part of the fight. Tbilisi Massacre on April 9, 1989 . As the Georgians were told the Russians were coming to stop the rebellion, nobody moved. In fact, they advanced against the aggressor.. When I hear and speak to the Georgians I know and love, I have to keep in mind that these are people who have suffered in their heart and souls, people with an unquiet past, people who know how to get up and face the day the morning after. They are survivors. The struggles today are of a different nature, but they are facing those with courage, in the face of adversity. May you long live in peace, Sakartvelo!